Our Annual Meeting and Program, will take place on Sunday, August 21 in the Phillips Barn. 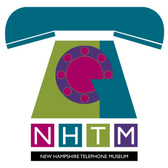 The meeting will begin at 3 p.m. followed by a program by folklorist Jeff Warner from New Hampshire Humanities. Jeff connects 21st century audiences with music and everyday life of the 19th century, accompanying his music with concertina, banjo, guitar and several ″pocket instruments." The program is free and open to all. Refreshments will be served. 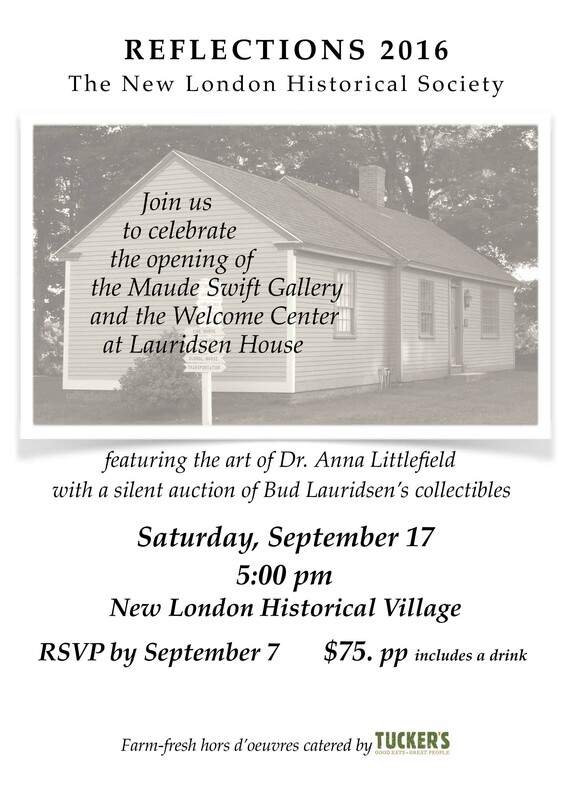 Join us in the Village for an evening of farm fresh hors d'oeuvres and libations, catered by Tucker's of New London, to celebrate the opening of the newly renovated Lauridsen House and the dedication of the Maude Swift Gallery. There will be an opening art exhibit of Dr. Anna Littlefield's work and a silent auction of Lauridsen artifacts and collectibles. Cost is $75 per person with one free libation and a cash bar. For reservations call 526-6564 [more]. Henry (“Hank”) Little, the Village Mouse—mascot and steward of the New London Historical Village—reports to you on the progress of maintenance in the Village. The Lauridsen Acquisition Building has been at the center of our Historic Village and serving as a collection point for new acquisitions for the past 23 years. Restoration of this building has been in progress in recent years, and now, both the interior and exterior will be completed by mid-August. The building will serve as a Welcome Center and be the home of the new Maude Swift Gallery. Plans are set for a September 17 grand opening. 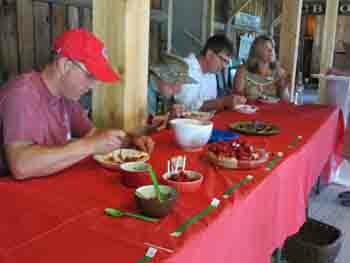 The Strawberry Festival at the New London Historical Village on June 26 was thoroughly enjoyed by folks of all ages. From left to right: Judges Greg Berger, Hank Otto, Read Clark, and Cheryl Devoe. A special thanks to the many volunteers who contributed to the success of the festival: Barb Carroll, Mary Fanelli, John Gutman, Judy Hauck, Lindy Heim, Roger Smith, Chip and Joanna Veazey, Kathy Van Weelden, and our Village Guides: Virginia Dawson, Suzanne Hammond, Joan Harris, and Tom Little. We have just completed the first season of our brand new NH licensed history camp at the New London Historical Village. 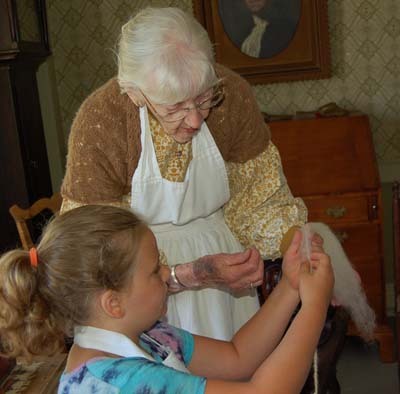 Campers, decked out in 19th century attire, tried their hands at rug hooking, spinning, hearth-side cooking, learning to use violin-making tools, and working with the blacksmith in the forge. The campers took home an authentic hook that they fashioned at the anvil with the help of our blacksmith. They also took home rug hooking and spinning creations. Heidi Unger, camp director, gave all campers a CD of photos from their camp experience. 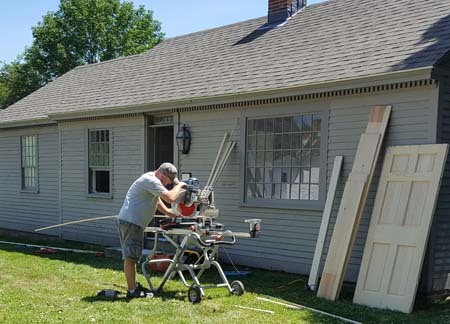 actively preserving the history of our community. providing cultural and educational opportunities for all ages. collaborating with neighbors, friends, and local businesses to enrich the New London community. plus, discounted: special event tickets, rentals, and store merchandise. Start making a pile of those already-read books today that are hanging around your bookshelf! Next, donate the books to Hannaford's New London during August. 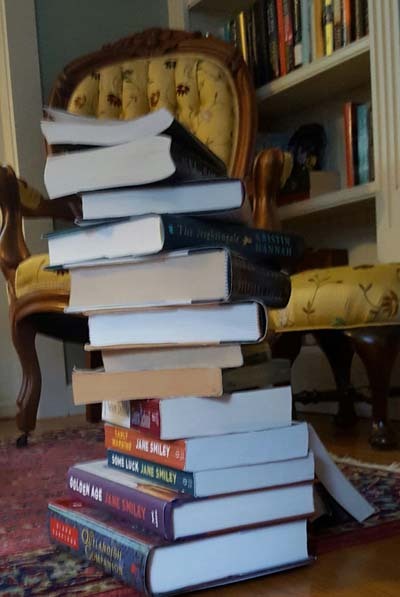 The New London Historical Society will benefit when the books you have donated generate cash as shoppers choose them for their next beach novels. And don't forget, when you choose more summer reading for yourself, please be generous in the "donation" box. Give to Raise the Roof Annual Fund. Set your Amazon Account to AmazonSmile-New London Historical Society. Contribute/Buy books at Hannaford's in August. Rent the Meeting House for your family or company holiday party.